The Hotel Barajas Plaza has an excellent situation. It offers a highly specialized service and excellent facilities, equipped with all the comfort you may need for the more demanding customers. We also offer you friendly stuffs and a warm atmosphere. 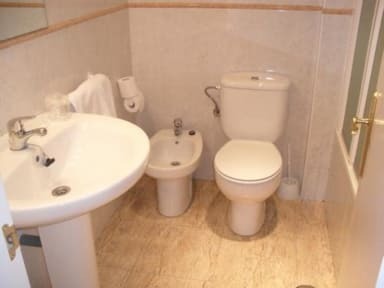 The comfortable and spacious rooms of the Hotel Barajas Plaza are equipped with a complete bath with bathtub and hairdryer. In addition, all our rooms include direct telephone line, satellite TV, connection to wireless Internet, air conditioning and heating. 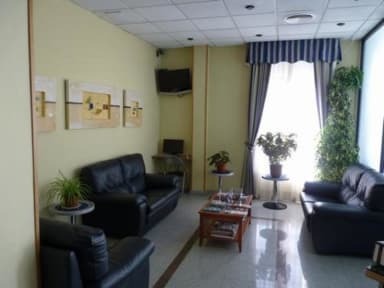 It is an excellent option for tourists and people traveling for business that comes to Madrid.